New Comics Arriving on July 18 and more! Yes, we are now open every day of the week, starting THIS Monday, July 16th! Hours are 12-7, like every other day except Sunday, which is 12-5. CONTINUES INTO IT’S THIRD SMASH WEEK – TONS OF GREAT MARVEL, DC, IDW and DARK HORSE collections at 1/2 price or less. More books being added on Wednesday! 7pm-10pm $10 Admission. In anticipation of the event we have lots of copies of THE ART OF DOUG SNEYD in stock. Let Joe know if you are interested in getting one for the event. We’ve seen the image for the exclusive Black Canary print for the event and it is something that you are going to want to get. at the Metro Toronto Convention Centre. 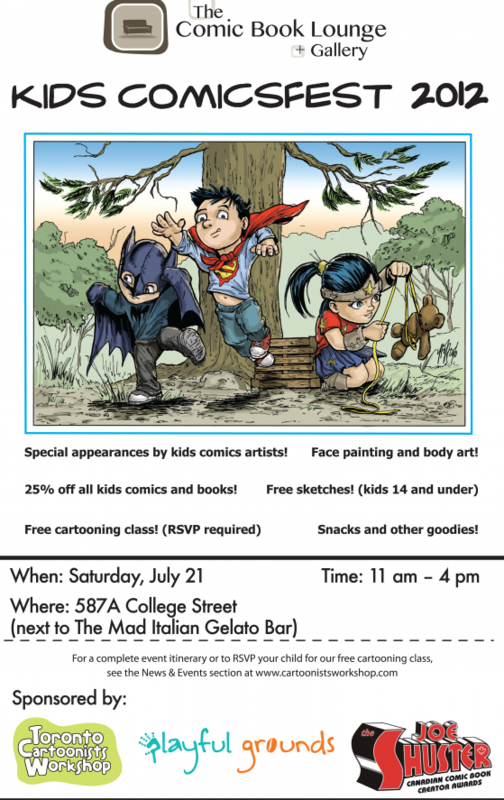 We will have a booth at the show and we are offering CGC Signature Series services through the booth. 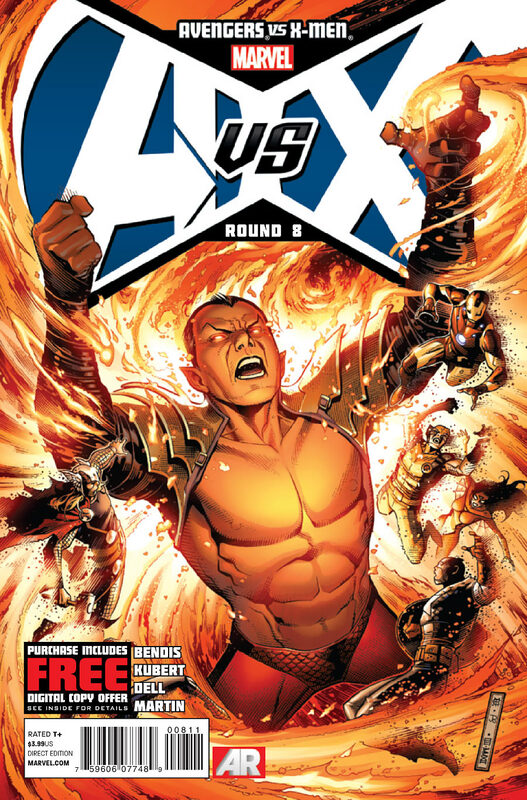 Last stand in Wakanda as an out-of-control Namor invades this sovereign nation in pursuit of the Avengers! And a shocking truth stands revealed that may cause fractures in the X-Men’s alliance! 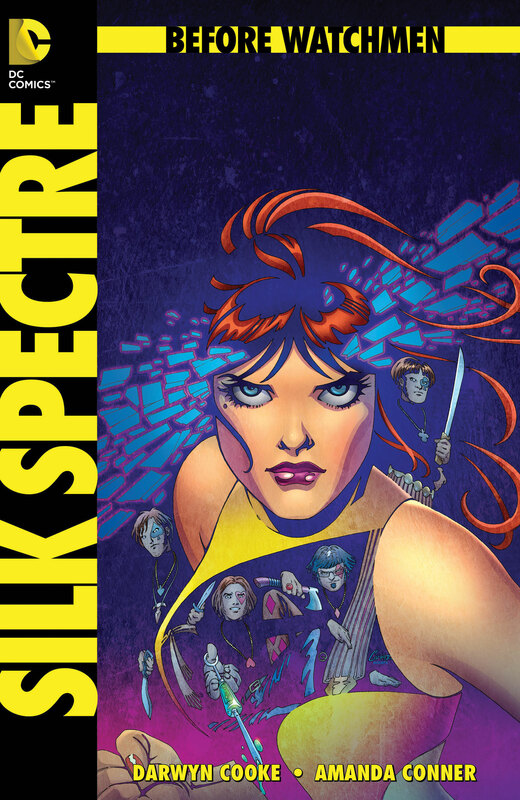 “I’ve just come to a horrible realization…My mom would be really proud of me right now.” The unrevealed history of Silk Spectre II continues – by DARWYN COOKE and AMANDA CONNOR! 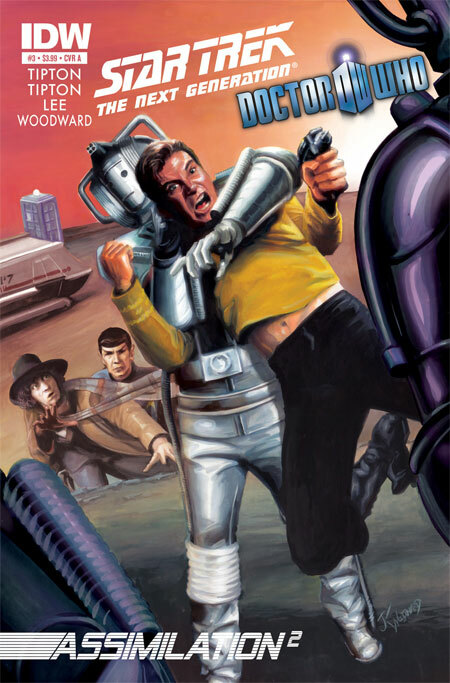 Plus, a new CRIMSON CORSAIR backup feature from writer LEN WEIN and artist JOHN HIGGINS! SHE’S BACK! The “Mightiest” of Earth’s Mightiest Heroes! • Ace pilot. Legendary Avenger. 100% pure bad-a$$. 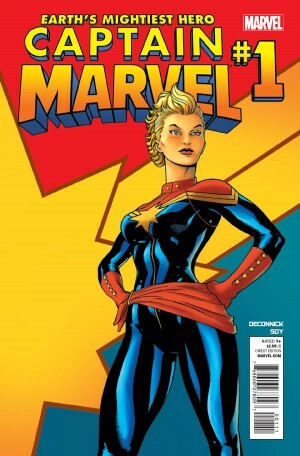 • Carol Danvers has a new name, a new mission …and all the power she needs to make her life a living hell. • Guest starring Captain America. 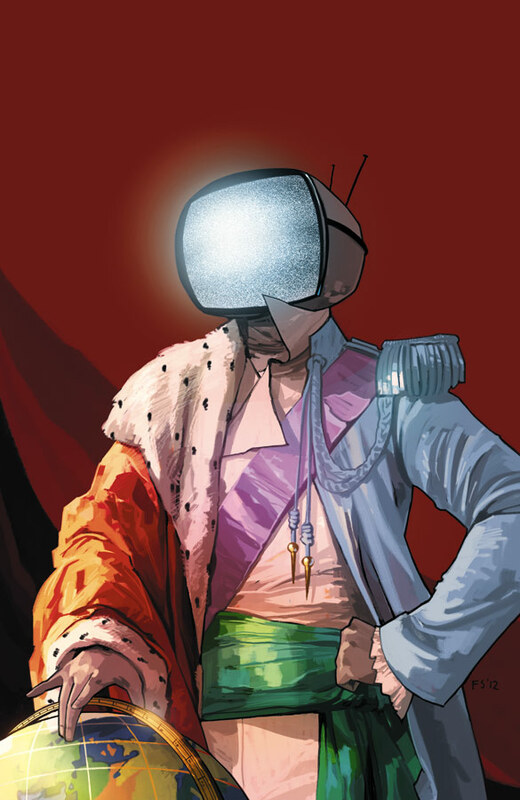 The smash hit ongoing series from Brian K. Vaughan and Fiona Staples continues, as Prince Robot IV’s hunt for Hazel and her parents takes a deadly turn. The two greatest science-fiction properties of all time cross over for the first time in history, in STAR TREK: THE NEXT GENERATION/DOCTOR WHO: ASSIMILATION2! The true horror of the Borg-Cybermen alliance has been revealed, but what course of action will Captain Picard and the Doctor agree upon? And will the Doctor’s recently resurfaced memories shed new night on the dilemma? The smash hit series of the summer continues! With the X-O Manowar armor now in his possession, all that stands between Aric and freedom is a legion of alien soldiers. 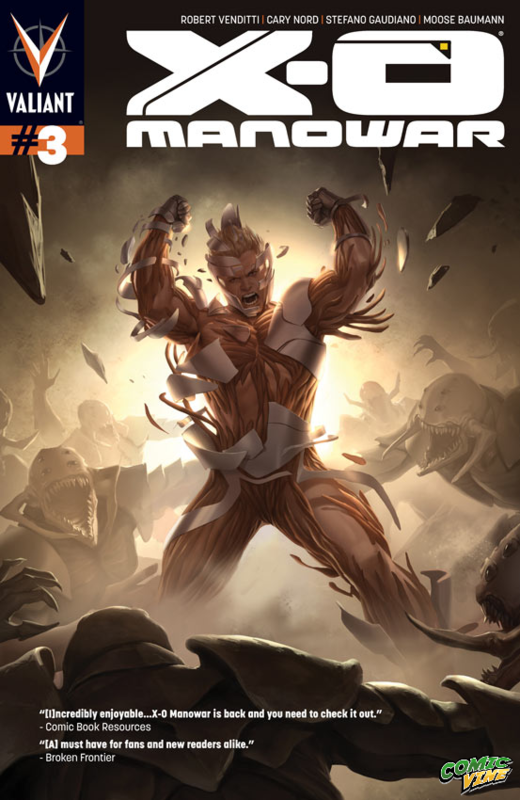 When he at last comes face to face with Commander Trill — the alien responsible for his capture — the enormous power of the Manowar armor reveals its potential in a new and electrifying way. Can Aric lead his band of fellow prisoners off the Vine colony ship and back to Earth, or will their revolt be put down? Who will live and who will die?